I’m slowly making my way through Peter Reinhart’s Whole Grain Breads book. 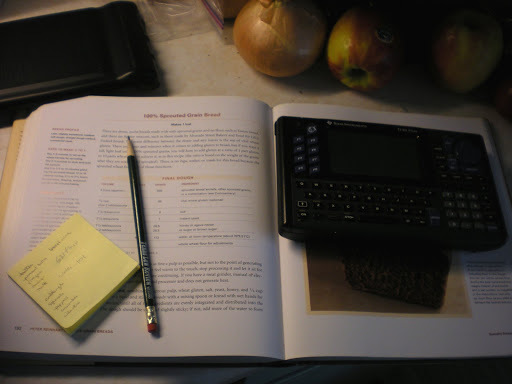 Every recipe has been a new adventure as I develop my “bread toolkit.” It is so clear that Reinhart really respects his audience; once you get the rhythm of the biga and soaker down, the recipes are nearly foolproof. While I don’t get everything he says about the enzyme activity, by separating the “rising” stuff from the “absorbing moisture” stuff, you can really see how the parts of bread fit together. That being said, my most recent baking session tested the limits of what most people would consider bread. 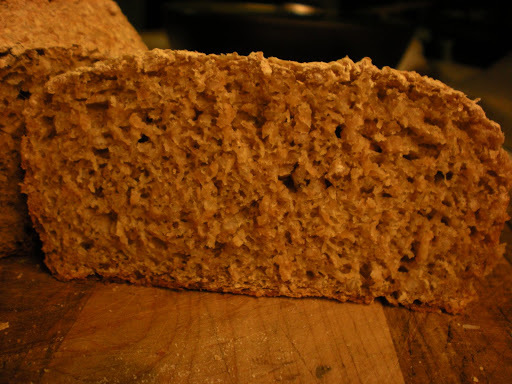 The easiest, most basic bread is made of flour, water, and yeast. What if you take out the flour? This is what Reinhart does in his sprouted grain bread. 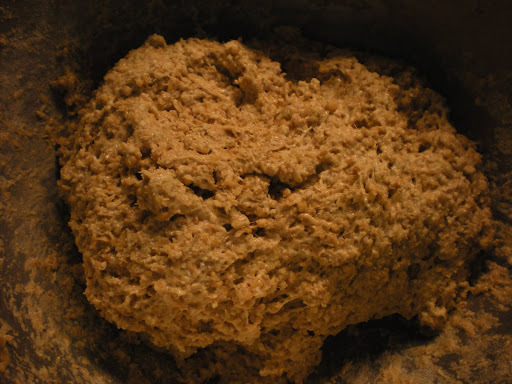 You use whole wheat berries, soak them, blend them up in a food processor until they make a pulp, then add water and yeast and some other things. Bake it up and you get bread! With no flour whatsoever! 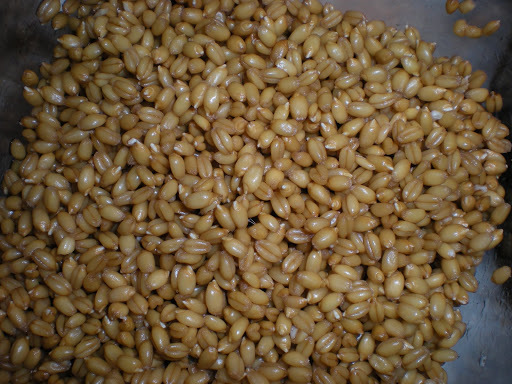 I had bought a big bag of whole wheat berries a year ago at the farmers’ market and was slowly making my way through it by grinding up a cup or so and throwing it into regular recipes. Here, you soak the berries overnight and then drain them and wait for them to grow little white tails. Then you grind them up. It took about five minutes. If the processor starts to get hot, turn it off and let them rest for 10 minutes before continuing. at this point, you can do one of two things. 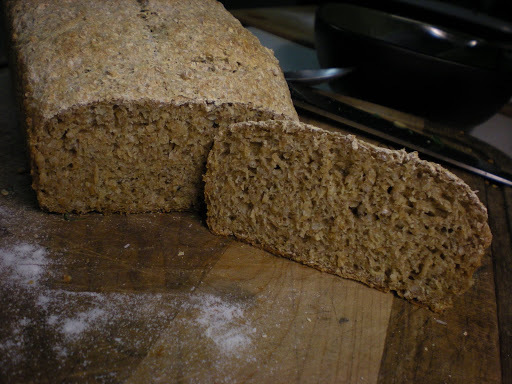 Make 100% Sprouted Grain Bread, or be a wuss and make a sprouted grain and whole wheat mixed bread. I did both, just because I soaked so dang many berries and you have to use them within 24 hours of them sprouting. 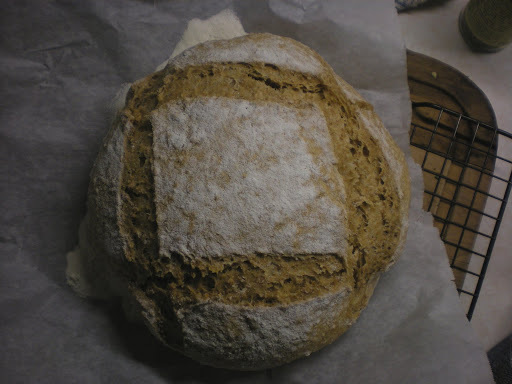 So first, the sprouted grain and whole wheat bread. Both of these recipes take 24 hours to make, so start the grains the night before you want to use them, drain them the next morning, and bake in the evening. You need a starter or biga for this recipe. 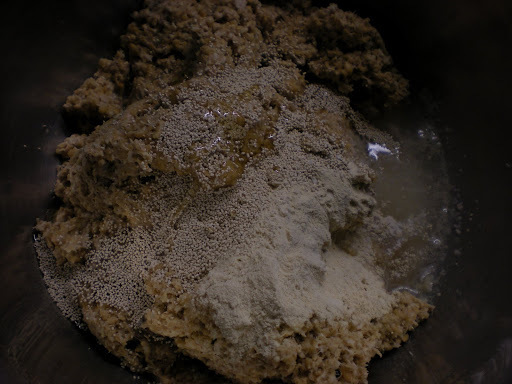 When you are preparing the grains to soak, mix together a 75% hydration starter that totals 398g. I can’t remember how much water; not much. 2. Mix it all up and knead a bit. 3. Put in an oiled bowl, cover and let rise for 45-60 minutes. 4. 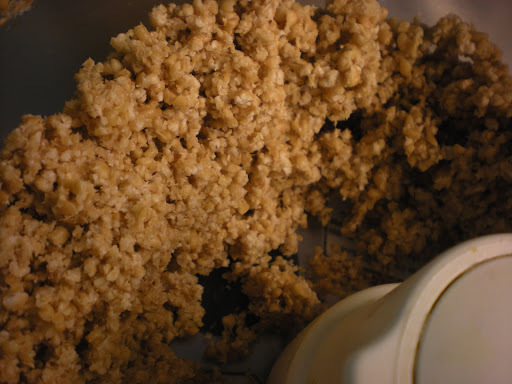 Meanwhile, what are you going to do with the rest of the sprouted grains? 5. 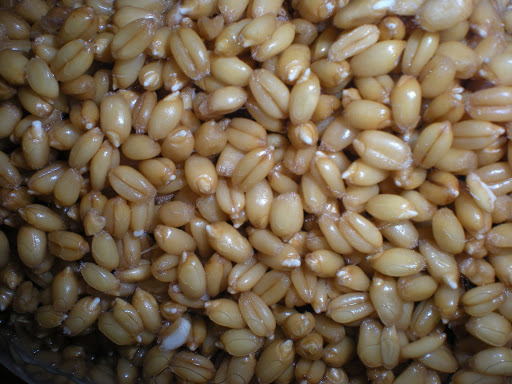 Measure out the rest of your sprouted wheat berries. How much do you have? Do you have 680g of berries? No? Here is where the math comes in. Bakers’ percentages are what you use when you don’t want to or can’t make the exact amount in a given recipe or want to tweak it a bit without going overboard and doubling or tripling the recipe. Luckily, Peter Reinhart shows the bakers’ percentages of all of his recipes so it just takes a quick calculation and you’re all set. You just need to keep in mind that you are always using the weight of your flour as the baseline for the rest of the measurements. Here is what my baking has become. I had 610g of wheat berries. I needed 16.5% of that in water. So I multiplied 610 by 0.165 to get 104g of water. See? Wasn’t that easy? Now, I just tweaked the recipe a little bit for each of the other ingredients, because getting them accurate is not as important as getting the hydration level right. add a little bit of water at a time until you get the right consistency. 10% of your wheat berry weight in vital wheat gluten (so in my case, 61g of vwg) that seemed like a ton, so I used 20g. 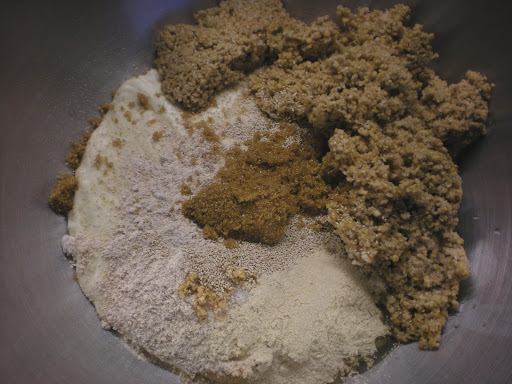 7. mix it all up and knead on a WET surface with wet hands. I forgot to add the water a little at a time so I ended up with impossibly wet dough and had to break down and add flour to the dough. Next time I will be more careful. 8. Once it reaches a good consistency (sticky and wet but good), put in an oiled bowl and let rise 45-60 minutes. 9. 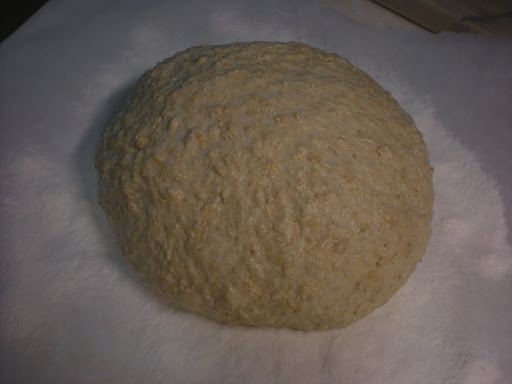 Now it should be just about time for your Sprouted & WW dough to begin the second rise. Prepare parchment paper with white rice flour and form your dough into a ball. Cover the ball and let rise on the parchment paper for another 45 minutes. With 20 minutes to go, you should preheat the oven to 450. 10. Once the bread is in the oven, turn it down to 350 and let bake for 40-50 minutes, taking the cover off your dutch oven half-way through. 11. 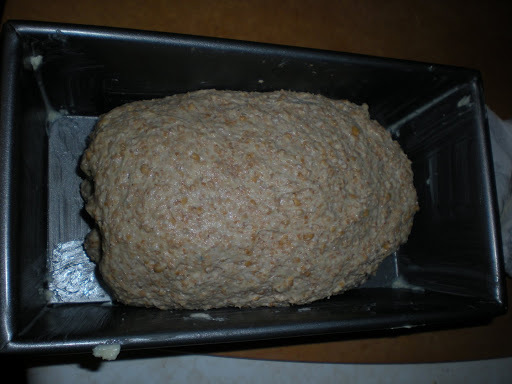 When the sprouted & WW is in the oven, prepare a buttered bread pan. 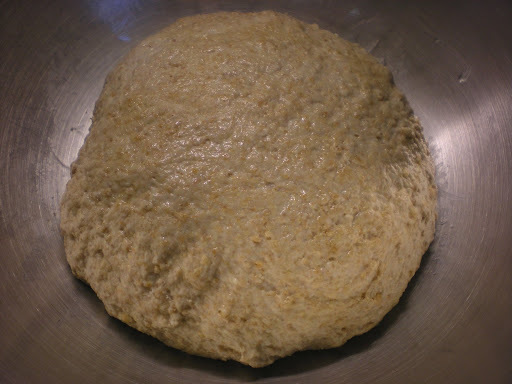 Shape your 100% sprouted grain bread dough and place into the pan. 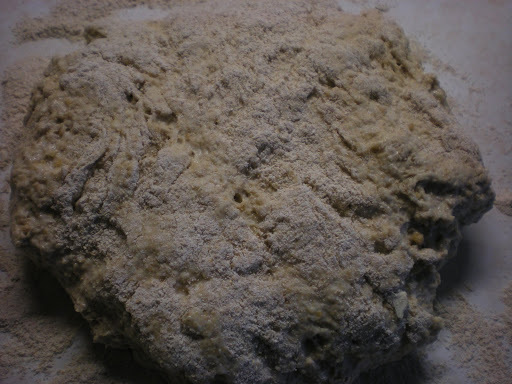 Cover and let rise until the other dough comes out of the oven. 12. First dough comes out, second dough goes in. Bake as before. I like the way, in some respects, you are rigid to the ‘rules’ and in other respects you are quite casual. But you are consistently successful!